It’s actually a bit tricky to investigate the possible associations between the Pill and various types of cancer. First of all, there are dozens of types of birth control pills, all with different versions of synthetic hormones, at different dosages, and in different proportions to one another. Furthermore, the types of oral contraceptives on the market change over time — today’s birth control pill is not your mother’s birth control pill. Studying “the Pill” as a single entity could obscure differences between brands. Secondly, most cancers tend to develop later in life, many years after someone may have taken oral contraceptives. Researchers need to be careful to control for all the variables that might increase or decrease cancer risk. The good news is that there is reliable evidence that the Pill lowers your risk of ovarian cancer and endometrial cancer, and the longer you take it, the greater that protection is. These reductions in risk make sense: The Pill inhibits ovulation and thins the lining of the uterus, both of which are thought to make you less vulnerable to certain cancers. There is a huge stack of evidence that the birth control pill lowers ovarian-cancer risk — and this protective benefit kicks in within 3 to 6 months after starting the Pill. Cells that divide frequently, like ovarian cells, are more prone to becoming cancerous — so the less frequently you ovulate, the less tissue damage is being done to your ovaries, and the less frequently your ovaries need to repair themselves. Voilà: reduced risk of ovarian cancer! According to Planned Parenthood, taking the Pill continuously for five to 10 years can protect you from ovarian cancer for up to 20 years after you have stopped using it. Furthermore, according to the National Cancer Institute, ovarian cancer risk decreases by 10 to 12 percent after one year of oral contraceptive use, and by approximately 50 percent after five years of use. It’s also possible that similar contraceptive methods, namely the patch and the ring, are likewise protective against ovarian cancer. Only 1.3 percent of women will get ovarian cancer in their lifetime, so it’s not recommended to take the Pill solely to protect yourself from ovarian cancer. However, when you take it for other reasons — for example, to prevent pregnancy, to alleviate endometriosis symptoms, or to tame menstrual cramps — the added protection against ovarian cancer is the icing on the cake. The endometrium is the inner lining of the uterus — the stuff that gets sloughed off during menstruation. The endometrium changes in response to hormones. When the ovaries release estrogen during the early phase of the menstrual cycle, the endometrium thickens, while after ovulation, more progesterone is produced, leading to the shedding of the endometrium (aka, your period). 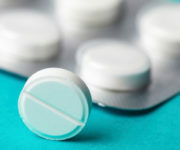 Synthetic versions of progesterone, called progestin, are the active ingredients in birth control pills — progestin not only suppresses ovulation, it also thins the endometrium. The Pill’s endometrium-thinning talents delight many users with “side effects” like lighter periods. But another good “side effect” is that, by thinning the endometrium, the cells don’t proliferate as much, lowering endometrial cancer risk. A 2013 analysis of available scientific studies showed that oral contraceptives cut endometrial cancer risk almost in half. That’s certainly something to consider if you’re at risk for endometrial cancer — but only 2.8 percent of women will be diagnosed with endometrial cancer, so, just like with ovarian cancer, the Pill’s protective benefits are the icing on the cake, but not the sole reason to take it daily. Birth control pills aren’t the only contraceptive method that can lower endometrial cancer risk — copper IUDs, which don’t contain hormones, are associated with lower risk, too. Scientists don’t yet know if hormonal IUDs, like Mirena and Skyla, also give users protection against endometrial cancer — they very well could, but more research is needed to know for sure. Planned Parenthood Arizona can help you find the contraception strategy that’s right for you, including the birth control pill and other hormonal methods. PPAZ also offers physical and pelvic exams, and performs blood tests that might detect signs of ovarian cancer. You can schedule an appointment at your local Planned Parenthood health center. This entry was posted in Birth Control, Cancer and tagged birth control, birth control pill, cancer, contraception, copper IUD, endometrial cancer, endometrium, hormonal contraception, hormones, intrauterine device, IUD, oral contraception, oral contraceptives, ovarian cancer, ovary, ovulation, Paragard, progesterone, progestin, risk, the Pill, uterine lining by Anna C.. Bookmark the permalink. Will St. John's Wort Affect Birth Control?